This chapter is brought to you by AnmesicCat, Baddiez, BDark, Hikaru. Special Thanks to SlightlyInsane. To Sunny: Thank you for motivating Baddiez to translate. Please let us know what you think of the story thus far. 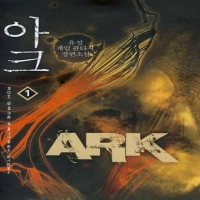 We hope you will enjoy this starting chapter (Prologue) of Ark, as much as we enjoyed translating it. Kim Hyun Woo raised his old glasses. The building was only a 5 minute walk from the South Seoul station. The front of the building, the sunlight reflected the words “Global Exos Korea” on a black marble. Knowing the sign represented a once in a lifetime opportunity; it intimidated him. He did not have the courage to go in, but he lacked nearly as much courage to turn back. He took a deep breath and walked into the building. The Model-like receptionist motioned him towards the elevator. While nodding, he stepped back, bowed and walked away. As he heard a stifled laughter from behind him, he began to blush. He roughly understood why she was laughing. After abruptly receiving news of the interview he was forced to come for an interview in an oversized borrowed suit. He became flustered realizing how foolish and ugly he looked wearing the oversized suit. He had arrived on the third floor, and the lounge was filled to capacity. People in fancy suits were out and about. Surprisingly some of the people were wearing blue jeans and t-shirts, their faces were filled with confidence showing their work experience. His eyes became clouded as he thought about going for the interview with these people. No, he was not sure he could really go to the interview in his current state. Hyun Woo let out a sigh with an uneasy look on his face. Hyun Woo was an ordinary youth. At least until 5 years ago. He was an average high school student who liked brand-name items, bought the newest cell phone whilst his parents nagged at him, and played games the entire day on the weekends. Up until then, he would often watch the stories of the boys on the T.V., and empathized with them on one hand, while thinking he could never live like the boy in the T.V. That is, until it became reality. He received an urgent call at school. He was told his parents had been in a car accident. WIth one simple call, Hyun Woo’s life was changed. His father had died, while his mother surviving after numerous operations, but complications still remained. The cause of the accident was his father’s drowsiness while driving. The victims still had to be compensated. Nevertheless their insurance had expired without renewal so the insurance company claimed it wasn’t their responsibility. The police and victims attorney had dropped by a few times. While Hyun Woo had been trying to understand the situation and complicated conversations that had taken place, their house was sold, and they terminated various savings and insurance plans. To fix that problem, they rented a small apartment. However, his mother still needed to be treated urgently. Their private medical insurance was bought 10 years ago. Nevertheless, every time his mother went to the hospital because of a cold, stomach ache, or miscellaneous, she required more treatment than an average person. Together with intensive care she needed, the insurance company’s attitude began to change. They gave him pamphlets written in English and Chinese, while prattling on about changing compensation limit. Because of this, they had to pay 3 to 4 million won in dues every month. It may be tough, but hang in there for your mother. Use this to pay for the hospital fees. Five uncles from both of the mother’s and father’s side stuck an envelope inside an absent-minded Hyun Woo’s pocket. But they did not show themselves again. He felt horrible. The money in his pockets only amounted to 3,000,000 won. It was not enough to even cover a month’s hospital bill. In order to cover living expenses and hospital bills, the debt steadily increased. Hyun Woo realized it for the first time. The little boy who earned a living was shown on T.V, was not mature. He was facing a situation where he had no choice other than to grow up and be mature. The situation makes a person. He knew very well the meaning of those words. Hyun Woo’s life had changed. Waking up at dawn to do newspaper and milk deliveries then working at a part-time job from evening to dawn in order to gain money. In the past it was inconceivable to wash one’s body while working part-time at a construction site. His body ached all over but he continued working rather than relaxing. It was not because he was exceptionally earnest. He had no other choice but to do it. However, his earnings could barely cover the cost of living and hospital expenses. Every time they arrived, all he could do was clench his fist. He heard his father had a good personality. There was not a single friend’s family gathering he missed, and he would withdraw from his savings without hesitation whenever a relative got in some big trouble. However, the reward he received from the heavens was almost as if it came out of a novel. After his father died, and as his mother accrued hospital bills, no one leaped in to help them. Worse, they did not even loan them some money. It was because they did not think they would be able to get the money back. Their relationship was weak because they were made when his family’s situation was still good. Hyun Woo also became keenly aware of the cold endless reality before he graduated from high school. No matter how special a person is, in the end they are just like any other person. His mind was set on dropping out of high school, but his mother, on her sickbed, would not hear anything about the matter. He had no choice but to deal with it for one more year. However, after he graduated from high school, it did not improve the situation they were in. After he graduated High School Hyun Woo set out to look for a job. Although his work had hours increased, other things remained the same. As usual, he worked all day, and his days became filled with anxiety trying to meet the hospital bills and the ever growing debts payments at the end of every month. He gradually began to envy his peer who carried the latest mobile or wore the latest fashions. He had also envied those who could have money to spare. It was one thing Hyun Woo could not stop himself from envying. Hyun Woo since an early age had dreamt of being an employee at a video game production company. Before the accident had occurred, he often stayed up all night playing games. If not, perhaps another career related to computers. Although he abandoned the idea of going to a university he did not abandon his dream. It was the reason why every month he would pay 300,000 won to attend a private institution. One day an instructor came up to Hyun Woo and asked. Hyun Woo froze in place. It’s expected for education to not be regarded for a small gaming company. However, not from a company as big as Global Exos! The company was the zenith of all companies in the gaming industry. They were the first to implement the concept of virtual reality into game, and they’ve also released 2 epic games in which accumulated annual sales of 1 Trillion won. A world where one’s educational background was not prioritized. These were the words once said a long time ago. However Hyun Woo was not naive enough to instantly believe those words. Without educational background, it limits the employee a chances for a position in such a large business, and is normally limited to things such as an external position. Even more so with Global Exos, and if he wasn’t accepted he would feel really bad about it. Educations: S Electronic Engineering 2nd Year, Dropout. Top seat of the class, without having missed any class. Although unknown to the Media Network, hacked through their firewall during their conference for testing a mock game system, and became a large issue, which eventually led to voluntary withdrawal. Global Exos was such a large company. Surely they would not examine the authenticity of each application. When he thought about it, it was impossible for them to do so. Perhaps, but trying wouldn’t hurt, besides, he’s got nothing to lose..
All this time he had forgotten about the application when unexpected news came. Hyun Woo’s instructor was just as surprised as he was. While he was daydreaming, the interviewer had already arrived here. In any case, he was given a chance to meet the interviewer. Perhaps this could be a golden opportunity. Which why he thought he had to make most of it, even if he had to resort to clinging to the interviewer’s pant legs. He casually imagined the scene of himself being handcuffed and bombarded with questions from reporters. Suddenly, he heard a woman’s voice beside him. Since he was already surprised, he lifted his head and saw the receptionist whom he met in the hallway standing there in a formal suit. She nodded and sat down next to him. After seeing the strange glance the receptionist gave as a response to his question, he made a puzzled face. Hyun Woo’s face became red. Could this mean he had an inferiority complex? Unable to break away from crowd, Hyun Woo was swept away into the auditorium. Approximately 2000 people were packed tightly inside the auditorium. Since only about 10 people would be chosen, The ratio of being chosen was 1 to 200. Everyone’s attention was on the stage where a man in his late 20’s stood. His speech was follow by loud applause. Ha Myung Woo nodded gently and said. Most of the people raised their hands. However, Hyun Woo didn’t raise his. Virtual reality games were not available for regular computers. If one wanted to play it, they had to buy a commercial network unit, which cost a considerable amount of money. Although there was also virtual reality gaming centers. Because the cost of a unit is expensive, the charged a high service fee. Ha Myung Woo nodded his head. Some people who had experience with those games nodded their heads. During the following discussion, Hyun Woo’s mouth was wide open in awe. Up until now, virtual reality games have amounted to a visual image has been implanted directly into the retinas in order to perceive the virtual world. The game New World was going to be different than any other games. Information received from the retina will be directly delivered to the brain, which allows the game to be perceived as a real-world experience. Thanks to that, it’s no longer just seeing, but experiencing another world with all five senses. For the last 3 years, Hyun Woo lived without playing games, and the advancement in technology was amazement to him. Physicist, Chemist, Astronomers, medical experts, and even experts in Nanoscience. Dozens of experts will spend years studying the virtual reality game, The New World. However, Global Exos was not looking for an employee with knowledge in those subjects. But rather, an employee who knew how to start a fire. Global Exos was looking for one who could manipulate the fire, was what Ha Myung Woo explained. Ha Myung Woo parted his lips slightly and replied. It was an unprecedented way obtaining employment caused a disturbance in the auditorium. As the unrest settled down and questions started to be asked. Ha Myung Woo said in joyful voice. However, there was no one who shared his happiness. Ha Myung Woo added with a smile. Kang Misu said with a beautiful smile as she came out to talk to the people in the auditorium. There was definitely nothing he looked forward to more than working with this beauty in an office of the large conglomerate. Hyun Woo stood idly at the convenience store counter eyeing a Global Exos’ brochure. He knew it was one of the world’s largest corporations but he did not expect it to be at this level. On the pamphlet were the written details of the employees who passed the special test. It was rumored New World’s exclusive Planning Department receives an assigned annual salary of approximately 100 million won. Considering the starting salary of a large enterprise was 40 million, this was exceptional. In addition, there was a full page article of the company’s guaranteed benefits. It was a job that could resolve all of Hyun Woo’s problems in one go. More than anything, Hyun Woo was captivated by the unique recruitment test. They didn’t want a close to perfect score on the TOEIC evaluation, nor did they want someone with an amazing work experience. If they were looking for those kinds of things, he would not have applied for the job. However, they proposed a method of achieving something inside the game as a test to get employed. Therefore, the only condition was to be good at games. If the falsification of his educational background were to come out of the light, it might become a big issue. No, it might not even get detected. As he thought about it, his hope swelled up. Since his younger years, Hyun Woo had always loved to play games. Although he spent a lot of time playing amazing games, they weren’t memorable. Furthermore once he had completed the game, all items obtained could be sold for money. Even so, he didn’t think getting employed would be easy. Ratio of 200 to 1. The other candidates would also rush forward with their lives on the line. However, since they are all starting with same conditions, he was confident he wouldn’t become left behind. That same day, Hyun Woo quit his part-time job at the convenience store, and stopped his milk and newspaper deliveries. However, because of the cost of living, and hospital bills, he cannot overindulge himself by quitting two of his other part time jobs. With the 1.5 million won Global Exos promised as a salary, he still could not even afford the hospital bills. He did not blindly believe his debt was resolved by itself. He understood tomorrow his debt would still increase. Therefore, he needed a little more like to save up. As soon as he finished work, he immediately headed for home. However, Hyun Woo started to shake his head. Hyun Woo immediately went to the unit. After he turned on the power, he heard a low whirring sound and suddenly, everything went dark. Suddenly, a piercing light, along with a new world, unfolded before him.